Tips For Making The Most Of Your Google+ Experience Tips For Making The Most Of Your Google+ Experience – MillionClues! A guest post by Jeff. If you wish to write one, check out the guest-posting guidelines and details. Making the most out of your Google+ experience comes down to understanding the tools that are before you. As always, Google’s proactive approach to connecting users to worthwhile information is at the core of this effort. The following list are some tips and tactics that you can use to streamline your experience, make the most of your time, and find what you are looking for. The Google+ Profile Name will appear as the result Title text. The Google+ Profile Introduction field will be used for the Description. One feature to take a look at is the ability to import friends from Yahoo! Mail and Hotmail. This is done in the Circles view by selecting either the Yahoo! or Hotmail indicators. Further search options include general email, name, and associated suggestions. Of course, there is a blocking option to rid yourself of the unwanted. Circles are a great feature in that you can dictate who is able to see what and what actually makes it to your feed. Setting up Circles is as easy as point and click, drag and drop. An excellent organization method for your Circles is to lump them by Friends, Professional, and Associates. Friends and Professionals will keep your personal information in the stream it should be in. It is a good idea to have an Associates Circle to put extraneous interests and people you do not know well in. That way you can maintain your contact without revealing too much to them. Catching up on your Circles is easy to do since they feature their own feeds. Swap over to that feed by clicking the circle under “Stream” on the left side of the page. Navigating the page of a longer stream is as simple as pushing ‘J’ for page down, ‘K’ for page up. Security set up for Google+ features a lot of depth and specificity. By selecting ‘view profile’ and following to ‘Edit Profile’, you will land in a location that allows you to set security settings for the sections of your profile. Visibility is customizable to various settings and circles. Photo security is handled a bit differently. You can easily specify where to share a new photo and approval settings when it is uploaded. Geo settings can also be enabled to show where the picture was taken place. Geo tagging, while robust, is disabled by default. A great addition to the Google+ platform is the ability to comment directly on notifications as they are posted. Instead of needing to visit the link, you can simply reply in a comment box in the notifications window. The option to “Mute Post” allows you to squelch it from spamming your Stream and notifications. If you want to streamline your social networking experience, functions such as Hangouts allow you to stream video to 9 other friends either through your mobile phone or webcam. It remains to be seen what other fun features Google will manage to work into their social media experience. There are already plenty of 3rd party extensions for Google Chrome that allow the user to share things from Google+ to Facebook or Twitter. Though Google+ is a bit late to the game in comparison to other longer standing platforms; the simplistic, fluid functionality is ripe for additional renovations and improvements. The Author, Jeff is an internet marketing consultant and a part time blogger. Currently, he is writing for a real estate company in queens that offers Queens homes. 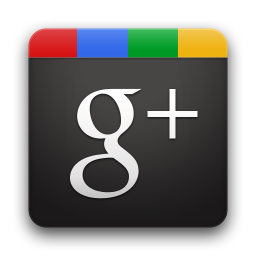 Is there any SEO benefit for Google +? … other than being facebook like, I wonder if it will help with pagerank or in the search engine results..
Backlinks from G+ are getting indexed. And considering that the importance of Social Signals in Search rankings is growing, it definitely is gonna have an impact in the near future. Actually more +’s dont count, more shares count.